Racing gasket set for 2.3 Ford. 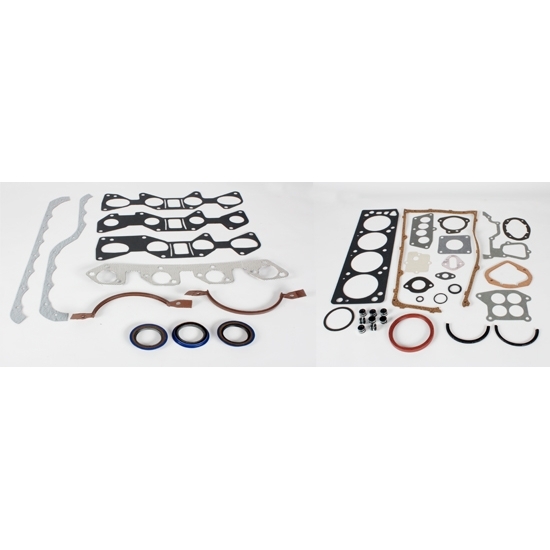 Kit includes two rear main seals to cover multiple applications: one 2-piece rear main seal (1974-1981) and one 1-piece rear main seal (1981-1993). Includes "composition" head gasket. Bore size dimension is a close approximation. Will fit both 1974-1981 and 1981-1993 rear mains (both included). Head gasket thickness is .047" and .055" at the metal rings.